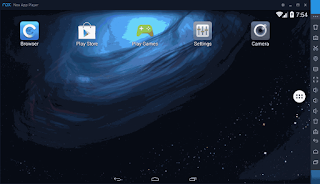 Nox App Player is a really good free Android Emulator Software for PC - Windows, you can control volume & brightness on screen and your Android Applications (APKs) shown in folders where you can easily access them from your computer. 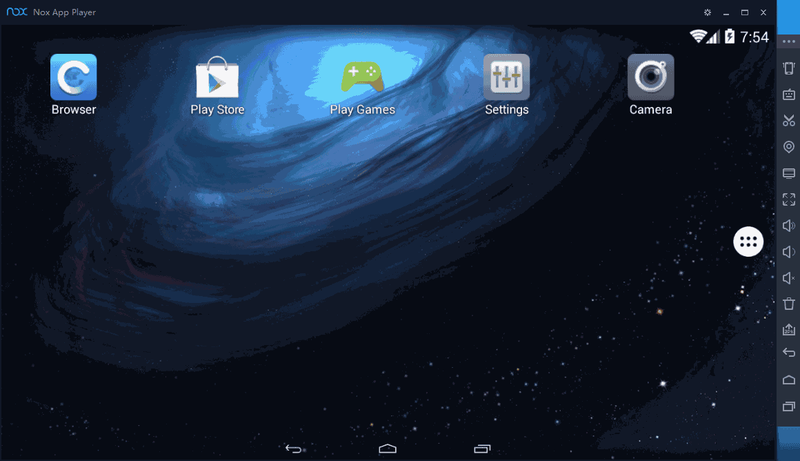 This free Android emulator for PC enables you to play and download any Android games and apps on your PC by logging in to your gmail account on the in Nox App Player. This software boasts of giving you the fast, smooth and stable gameplay experience that you would ever imagine just as it's played on smartphones, Nox App Player is free and safe third-party software and you can now install it for free on your PC! A lots of people have left Bluestacks 2.5.61 for Nox App player since the early lunch of this best PC software. However, bluestacks is also one of the best Android emulators but the interface of Nox App Player and different customization options makes it more lovely and powerful. Before you embark on the process of installing Nox App Player on your PC/Laptops or Mac, your system have to meet the following requirements. I suggest you should download both Nox App Player offline installer and online installer from the below links. - Editable CPU, RAM and resolution customization likewise, bluestacks. - Saves games' data on your PC. Nox App Player latest version comes with some decent features to enhance users' experience. Now it's time to show you how to Download Nox App player for windows 10/8.1/7/XP PC, Mac. This app player works on windows 8,8.1, and latest windows 10 update. Follow some procedure below to install the software and enjoy Android games on PC. Note: The process of downloading this software requires a good internet connectivity in order to avoid interruption while downloading. √ After that, right click on the nox app player installer update files, extract those files to your system's drive, lunch the software then a pop-up window for google account login will appear choose Existing if you have one but if not click on New to create new gmail account, here you are done with the setup to use Nox App player 5.0.0.0 Latest version but check out our tips below to play ppsspp games for PC. If you follow the above steps properly, you should be able to use any Android apps on PC, Laptop, XP, Mac, windows 7/8/8.1 and 10 with Android App player for PC. Since this Android PC emulator works on Mac, I will also share some brief process on how to get it installed on mac books operating system with just simple steps. >> Tab on the downloaded Nox file and wait while the installation process is on, the installation process normally takes time on mac books model so you have to be patient. >> Upon successful installation, this software will create a shortcut on your desktop, but if there is no shortcut just search for Nox App player in the mac book Programs menu. >> Now follow the screen prompts and sign up or login to your gmail account, the remaining processes is same as that of windows which I have mentioned above, so follow the above steps and enjoy Nox App player on mac books. I hope this complete guide will help you on how to download, play android games on PC windows, mac, laptop. If you have been using bluestacks, then tell us more about the differences between nox app player vs bluestacks. Leave a Comment if you enjoyed this tutorial.